Shane is a Lecturer in the School of Arts and Humanities. 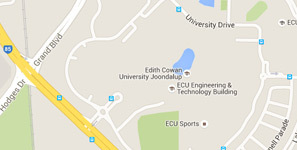 Undergraduate and postgraduate studies in Psychology at The University of Western Australia before joining the team at ECU in 2014. Doctor of Philosphy, The University of Western Australia, 2015. BACHELOR OF ARTS, The University of Western Australia, 2004. Bachelor of Arts with First Class Honours, The University of Western Australia, 2004. What makes a child school ready? Executive functions and self-regulation in pre-primary students, CingleVue Pty Ltd, Scholarships to Support Industry Engagement PhD Project, 2017 - 2020, $90,000. Maximising student engagement for learning through teacher and student interactions, AISWA Schools, AISWA Schools - Grant, 2019 - 2020, $82,317. NAPLAN Narratives: Stakeholders’ perspectives surrounding student wellbeing 2016-2018 (NAPLAN Narratives: Studies 2 and 3), AISWA Schools, AISWA Schools - Grant, 2016 - 2019, $186,618. Amplify: The Story of Six Schools, Association of Independent Schools of WA, AISWA - Grant, 2016 - 2019, $120,605. Development and validation of a new objectification scale, Edith Cowan University, School of Arts and Humanities Research Grant Scheme 2017, 2017 - 2018, $2,000. Psycho-physiological engagement associated with self-disclosure and listening during face-to-face conversation, Edith Cowan University, ECU Early Career Researcher Grant - 2017, 2017 - 2018, $12,000. Applications of an online, self-completed, psychometric tool for the purposes of furthering education, AusIndustry, Innovation Connections Grant, 2017 - 2018, $91,487. Enhancing parental relationships, resilience, and wellbeing in children; prenatal to 12 months, Edith Cowan University, School of Arts and Humanities Research Grant Scheme 2016, 2016 - 2017, $20,000. Developing an online, self-completed, psychometric tool for quantifying students' individual learning differences, AusIndustry, Innovation Connections Grant, 2016 - 2017, $91,427. Developing social interaction research agenda within Cognition Research Group, Edith Cowan University, School of Arts and Humanities Research Grant Scheme 2016, 2016 - 2017, $9,800. NAPLAN Narratives: Stakeholders perspectives surrounding student wellbeing, Association of Independent Schools of WA, AISWA - Grant, 2015 - 2017, $120,353. Rogers, S., Speelman, C., Guidetti, O., Longmuir, M., (2018), Using dual eye tracking to uncover personal gaze patterns during social interaction. Scientific Reports, 8(1), article no.4271, DOI: 10.1038/s41598-018-22726-7. Howieson, J., Rogers, S., (2018), Using the role-play at the lectern: developing “work-ready” and confident professionals. The Law Teacher, 52(2), 190-200, DOI: 10.1080/03069400.2017.1340531. Rogers, S., Howieson, J., Neame, C., (2018), I understand you feel that way, but I feel this way: the benefits of I-language and communicating perspective during conflict. PEERJ, 2018(5), Article no.e4831, DOI: 10.7717/peerj.4831. Rogers, S., Edwards, S., Perera, R., (2018), The impact of shared versus individual office space on therapist appraisal of their work environment. Asia Pacific Journal of Health Management, 13(1), article no. i26, DOI: 10.24083/apjhm.2018.0026. Priddis, L., Rogers, S., (2018), Development of the reflective practice questionnaire: preliminary findings. Reflective Practice, 19(1), 89-104, DOI: 10.1080/14623943.2017.1379384. Ellis, S., Gately, N., Rogers, S., Horrigan, A., (2018), Give Them a Chance: Public Attitudes to Sentencing Young Offenders in Western Australia. Youth Justice: an international journal, 18(2), 169-187, DOI: 10.1177/1473225418791660. Rogers, S., Barblett, L., Robinson, K., (2018), Parent and teacher perceptions of NAPLAN in a sample of Independent schools in Western Australia. The Australian Educational Researcher, 45(4), 493-513, Sydney, AUS, Springer, DOI: 10.1007/s13384-018-0270-2. Perera, R., Rogers, S., Edwards, S., Hudman, P., Malone, C., (2017), Determinants of transition from child and adolescent to adult mental health services: A Western Australian pilot study. Australian Psychologist, 52(3), 184-190, United Kingdom, Taylor and Francis, DOI: 10.1111/ap.12192. Rogers, S., Barblett, L., Robinson, K., (2016), Investigating the impact of NAPLAN on student, parent and teacher emotional distress in independent schools. Australian Educational Researcher, 43(3), 327-343, Springer Netherlands, DOI: 10.1007/s13384-016-0203-x. Rogers, S., Fay, N., (2016), Stick or switch: A selection heuristic predicts when people take the perspective of others or communicate egocentrically. PLoS One, 11(7), e0159570, United States, Public Library of Science, DOI: 10.1371/journal.pone.0159570. Skead, N., Rogers, S., (2016), Running to well-being: A comparative study on the impact of exercise on the physical and mental health of law and psychology students. International Journal of Law and Psychiatry, 49(Part A), 66-74, Elsevier, DOI: 10.1016/j.ijlp.2016.05.012. Rogers, S., Edwards, S., Hudman, P., Perera, R., (2016), The importance of the physical environment for child and adolescent mental health services. Asia Pacific Journal of Health Management, 11(1), 33-43, North Ryde, NSW, Australian College of Health Service Management. Skead, N., Rogers, S., (2015), Do law students stand apart from other university students in their quest for mental health: a comparative study on wellbeing and associated behaviours in law and psychology students. International Journal of Law and Psychiatry, 42-43(2015), 81-90, Elsevier, DOI: 10.1016/j.ijlp.2015.08.011. Skead, N., Rogers, S., (2014), Stress, anxiety and depression in law students: how student behaviours affect student wellbeing. Monash University Law Review, 40(2), 564-587, Clayton, VIC, Monash University.